Schumacher European proudly offers a large lineup of used and new luxury vehicles for Scottsdale area drivers. Their vehicles continue to impress, and even standout amongst competitive brands like BMW. Mercedes-Benz and BMW’s strong performance outputs and high-quality features are a force in the automotive industry. BMW is an impressive brand with notable features, but can it match what Mercedes-Benz has to offer? Here’s a look at the different features that make Mercedes-Benz the stand out option in luxury vehicles. Mercedes-Benz and BMW models offer performance that leaves many people on the road speechless. Both provide top-notch specs for Fountain Hills drivers, but BMW falls just short of what Mercedes-Benz can offer. What can you expect with a Mercedes-Benz? BMW has quality safety features, which include: Anti-lock Braking System (ABS), BMW Assist eCall™ with Emergency Request (SOS button) and Enhanced Automatic Collision Notification. However, they can’t compete with the innovative safety technology offered with Mercedes-Benz vehicles. Purchasing a new or Certified Pre-Owned Mercedes-Benz gets you an unbeatable warranty coverage. With a range of options available, finding the best plan for you is hassle-free. BMW offers reliable warranty coverage on their new vehicles, but it’s no match for what Mercedes-Benz has to offer with their CPO models. 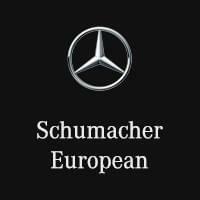 Whether you want to test drive a few luxury SUVs, need routine service, or have questions about our warranty coverage, rely on Schumacher European in Schumacher European. Our knowledgeable sales team will help get you in the Mercedes-Benz that fits your needs the best. Stop by our dealership or contact us to schedule an appointment! In the meantime, explore the Mercedes-Benz C-Class vs. BMW 3 Series.